I'm a Louisiana girl who fell in love with California during a summer internship. So as soon as I graduated college, I bought a car and drove out to Silicon Valley to work in the tech industry. Decades later I'm still here, still working in tech, but now I ride my bikes much more than I drive. Like so many others, I learned as a 5 year old with my dad running alongside me holding my saddle, and rode for fun around the neighborhood with my friends all the way through college. I only stopped riding when I moved to California and could only afford a studio apartment that didn't have room for a bike. After I moved into a home with a garage I bought my first adult bike, a Specialized Hardrock. I still have it. The joy of riding. Bicycles are just the right speed: slower than a car so you can see things better and faster than walking so you can cover more ground. You have background with both road and mountain biking. What do you enjoy about both those styles? To me, the road is about going long distances under your own power. Like rolling out of your driveway, riding across town and over the hills to the ocean, then back all in one day. 60 miles and a few thousand feet of elevation gain? No problem. 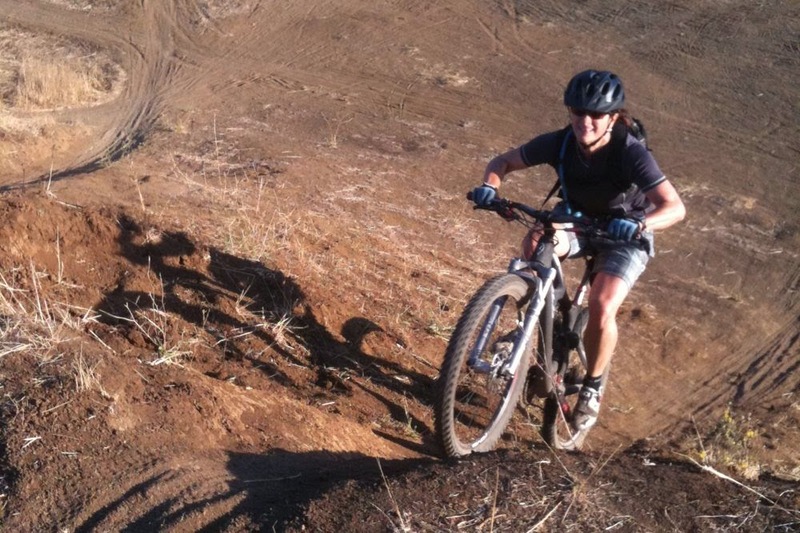 Riding dirt is all about getting away from civilization and experiencing nature. It somehow manages to be quiet and peaceful as you're rolling along the easy stuff, and then intensely challenging when you hit technical sections. All the trails here start with steep climbs, so I was like: "Oh please, let me get up this section without having to walk my bike!" On the way down it was like: "Whee, this is fun!" How do you deal with nervousness? I'm very selective about when I choose push myself and I avoid riding with people who push me when I don't want to pushed. Feeling nervous every time I get on the bike would take the joy out of it. Are there handling or technical riding aspects that you find tricky? (with mtb)? What has helped you improve? Switchbacks used to make me crazy and they are really common here. But I took a skills clinic where they taught us how to take the right line and more importantly, where to look at different points in the turn. That helped enormously. I use clipless pedals on all my "sport" bikes: road, MTB, cyclocross, touring. For beginners I recommend getting mountain bike shoes and double-sided pedals because they're much easier to clip in and more comfortable walking around. Another trick is to get pedals that are flat on one side and clip-in on the other. That way if you get nervous, you can unclip and put your foot on the flat side. Have you had an accident or situation that challenged you on a mental/emotional or physical level? How did you heal/cope? In 20 years of frequent riding, I've been very fortunate to avoid major bike-related injuries. I think my biggest challenge has been cyclocross and mountain bike racing. Riding alone at night in a 24 hour MTB relay on trails through mountain lion territory definitely challenged me to push my comfort zone. You commute on a regular basis- what made you decide that it was a viable form of transportation for you? When I first started bike commuting it was a 22 mile round trip, a nice workout that I'd do 1-2 times a week in the summer. Then I switched to a job 5 miles away which didn't seem worth the trouble of packing my clothes. It wasn't a workout so I rarely commuted at all. Then I got smart and realized that for that short distance I didn't need to change clothes. Now I commute every single day in my work clothes. I take it slow so I don't sweat. Instead of a workout, it's my 20 minutes of zen in the morning. There is a concept that commuting by bike is impossibly hard, what are some suggestions you have that would be helpful for a first-year commuter? Keep trying different routes until you find one that you enjoy. What works for someone else may not for you. If the trip is short, consider riding in your work clothes so you don't have to manage the extra clothing. If trip is long, consider combining it with transit. And unless you like a sweaty back, get a rack or basket to carry your things. Backpacks are the worst for overheating. What suggestions do you have for commuting in less-than ideal weather? Get the right gear: fenders for the bike, a good coat or poncho for you. For rain, I like wearing a dress with a trench coat and knee-high boots. It's rare, but we do get rain in California. Also, don't limit yourself to bike-specific clothing. A good wool coat or sweater goes a long way. I love feeling in touch with my environment, whether it's a city street or a trail in the redwoods. I have too many to detail! On the sporty side, I have a Scott carbon road bike that's light and fast, an Ibis full-suspension mountain bike that we custom-built with ruby red anodized components, a classic steel Trek touring bike, a cyclocross race bike and one I converted into an off-road touring machine. On the city side, I have a luscious red Viva Dutch step-through, a zippy PUBLIC mixte, and a Brompton folding bike, plus an old mountain bike converted to utility bike that gets locked places I would never trust with my nicer bikes. My sweetie and I also have a tandem. 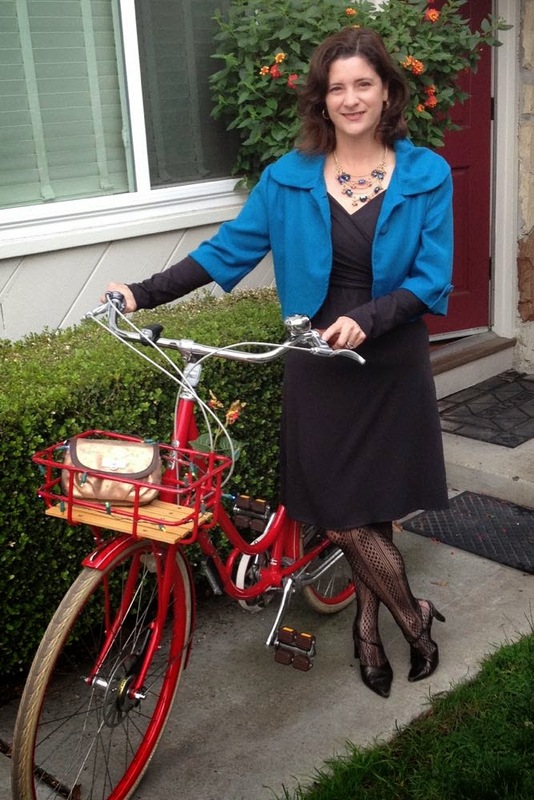 There's a reason I call my blog One Woman, Many Bicycles. I love thin wool socks and only wear jerseys cut for women with big pockets. I know that sounds random. For city riding, I love panniers imported from the Netherlands. They're water-resistant, good-sized and don't look sporty at all. You have a blog- One Woman, Many Bicycles- what inspired you to create your platform? After I started riding to work in a dress and heels every day, my whole view of what cycling could be changed. Because I didn't treat it as a workout, every daily trip became a bike trip. It was mind-blowing. I wanted my road and mountain biking friends to share the experience. What has been the most fun experience you've had since you started blogging? Having people I don't know roll up to me and say they read my blog is wild. But the actual fun comes in telling other people's stories on my blog: their bike dates, their big rides, their fashions. Having enough places that are convenient, comfortable and safe to ride is the limiting factor for everyone, not just women. 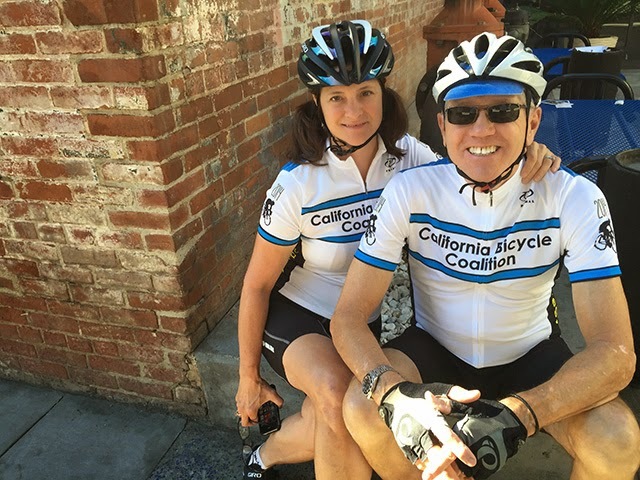 After that, the bicycling culture in the US emphasizes the masculine values of riding harder, faster and longer, which does not appeal to all women. I've seen too many women who go out for a ride with a boyfriend or husband only to get dropped in the first 10 minutes, get led down trails they're not ready for, or do maximum effort just to try to keep up. She thought she was going for a pleasant social ride, he expected it to be challenging. Then he wonders why she doesn't want to ride with him anymore, if at all. Cities that put in protected bike lanes or create low-traffic bike boulevards see a bump in the number of women riding. On the sport side, I think we'll need a lot of women helping women to get started and stay involved. And frankly, we'll need some people in the bike industry to drop some of their long-held beliefs that directly or indirectly keep women from participating. If I hadn't had groups of women to ride with I would never have achieved half of what I have in cycling. There's no way I would have gone out riding with the guys every weekend, and certainly never racing on their teams. There's something special about riding with the girls: the camaraderie, the shared experiences, and the girl talk. Before I went full-bore with bicycling I was a ballroom and salsa dancer with a four-night-a-week dance habit!